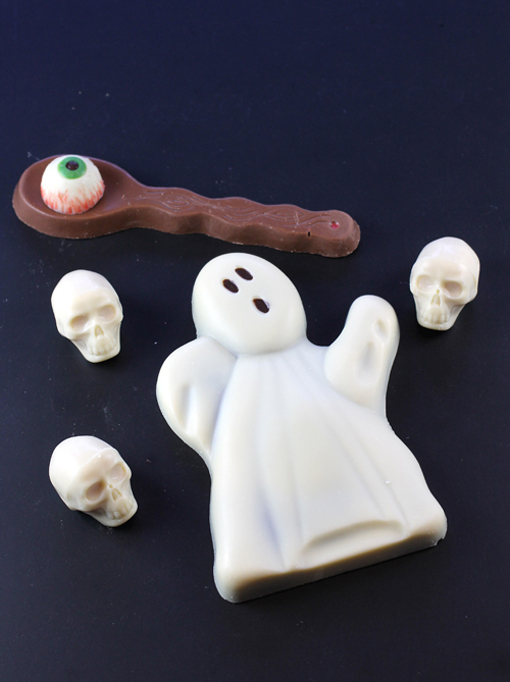 How adorable is this solid chocolate ghost ($10)? It gets its ghostly hue from white chocolate that hides a hefty amount of dark chocolate that tastes like a deep, delicious brownie. It’s 5 1/2 inches tall — making it large enough to share if you’re feeling generous. The “Eyeball on a Spoon” ($8) is definitely something you don’t see everyday. It’s a little creepy, but one taste of the milk chocolate with its caramel notes will leave you feeling much more comforted. The box of five white chocolate skulls ($10) is like two treats in one. One layer is filled with dulce de leche, the other with brown butter ganache. They make for a sweet treat with a very pronounced toffee-like flavor. Halloween is full of candy. But it’s only the very fortunate trick-or-treaters who get Woodhouse goodies. In the most recent Food Gal contest, I asked you to tell me what your favorite spice is — and why. The winner will receive a free “Prosperity Cinnamon” box ($85 value) from World Vision. 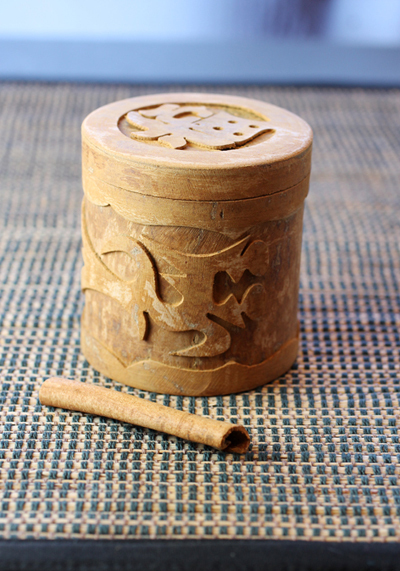 Fragrant ground Vietnamese cinnamon hides inside.